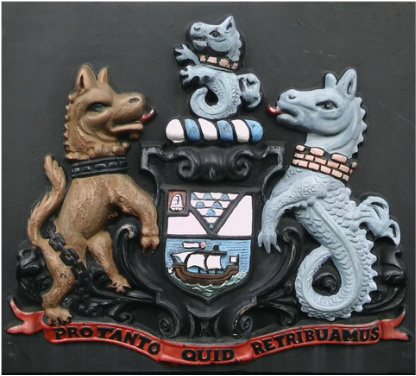 Coat of arms of Belfast, 'Pro tanto quid retribuamus' can be translated as 'what shall we give in return for so much'. A metaphysical exploration of a city. This directory shows both the good and bad sides of Belfast: the alluring, the reprehensible, the bonhomie, the division, the past, the emerging, and the unexplained. Some poems accompany others; some will directly contradict. The voices are not as one. In a city, there are always enough people to form differing opinions of equal sway. Some of the pieces influenced by the political history of the city, celebrating achievements and progress, but also recognising its darker side. The speakers are adults, children, people who long to leave and others yearning to return, urban tales and dreams of rural escapism. Belfast is a multi-headed beast that shares the same body, but not always the same heart. We cannot afford to ignore its curious anatomy. The A to Z of Belfast is written and photographed, with original artwork, by Colin Dardis. 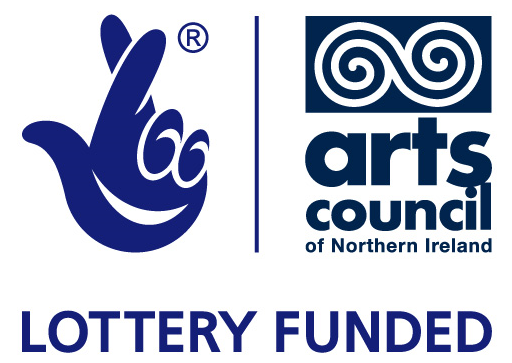 The author acknowledges the kind support of the Arts Council of Northern Ireland through its General Arts Award scheme 2015-16.